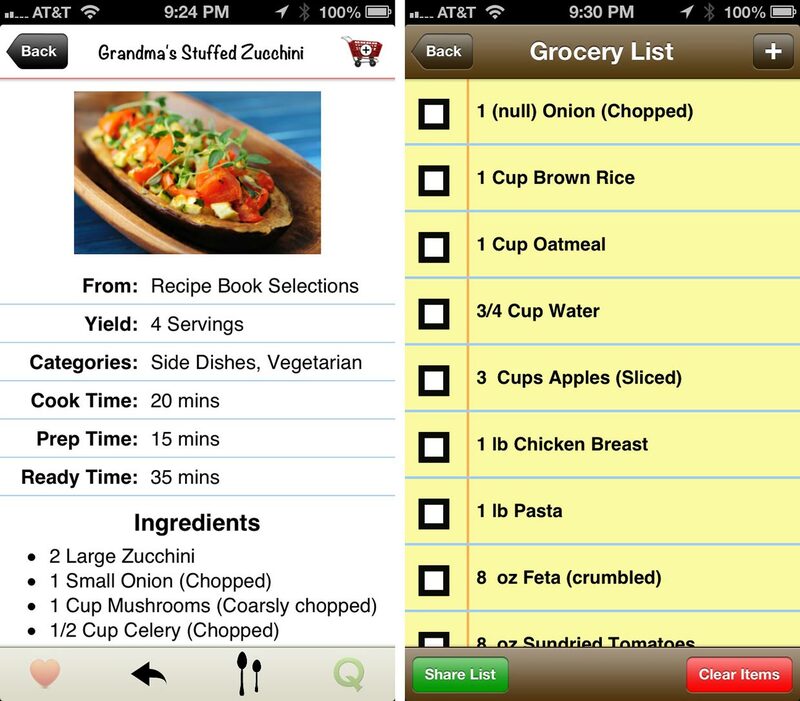 My Recipe Book is a cooking app that lets you store and organize recipes you find into one convenient location -- your iPhone or iPad. With the new KitchenSync introduced in My Recipe Book 3.0, you can actually now store all those recipes on as many devices as you want. One of the biggest new features of My Recipe Book is that it's now universal for iPhone and iPad (previously iPad only). This makes it much easier to use your shopping list while in the grocery store or share a new recipe with your friend while out and about. Another improvement to My Recipe Book is to its Easy Import system. This awesome feature lets you find recipes on the popular cooking websites (epicurious, MyRecipes, CookingLight, Food Network, etc) and quickly import them into My Recipe Book. It's now incredibly easy to use and more reliable. My Recipe Book also includes a shopping list. From any recipe, you can select which ingredients you want to add to your list. A great feature of the list is that not only are the ingredients added, but the exact amount needed is also included. 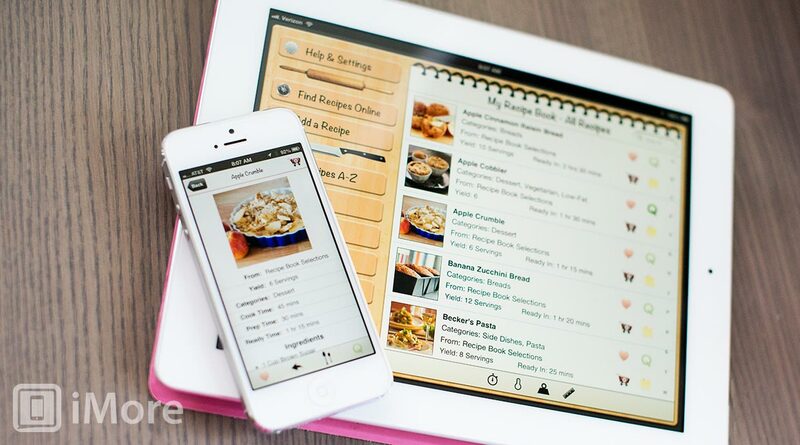 On the iPad, you can also edit your recipes, add notes, use multiple timers, and add your own custom recipes. Another awesome feature of My Recipe Book is the ability to automatically convert the serving size of a recipe without having to do any of the math yourself. Simply pick a multiplier (like twice as many than the original recipe) and My Recipe Book will do the rest! 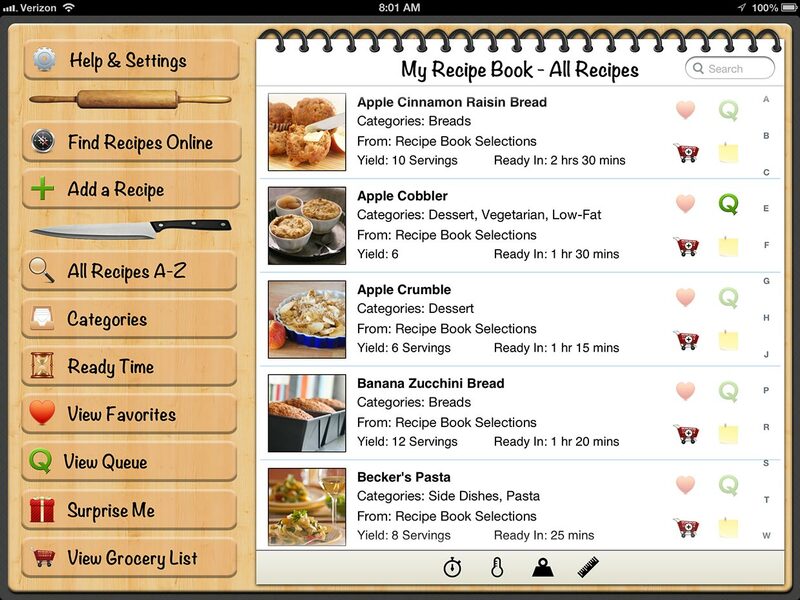 My Recipe Book is an excellent cooking app for those who like to discover new recipes online. Being able to quickly import recipes from all the popular cooking websites, edit them, and even add your own, makes My Recipe Book a must-have for every cook. The new addition of KitchenSync is the cherry on top to an already awesome app. Do you have any favorite recipes that you found online? Please share them in the comments below!